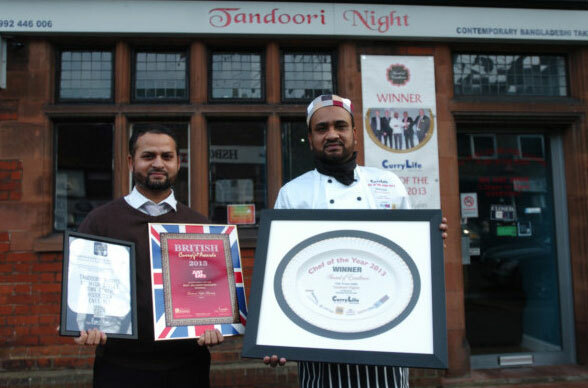 At Tandoori Nights we offer the highest quality of home dining serving in the local community for over 16 years and still going strong. We are always striving to do better. We have no other branches and there is only one original Tandoori Nights, maintaining a single branch in order to concentrate on the quality and precision we take when preparing your food. Our 4 times Award-winning chef is passionate about using the freshest of ingredients, to prepare his distinctive and unique dishes in our 5 star hyginic kitchen. Above all, our core ethos has always been making sure our dishes are cooked to order and delivered piping hot to your door. 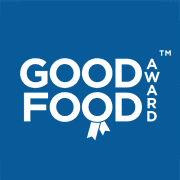 have now been awarded our highly revered Good Food Award – Gold Seal for 2019. Our Gold Seal is the highest accolade bestowed by the Good Food Awards and is reserved to those achieving our award for three consecutive years or more. Premises must maintain the same exceptional standards that gained them initial entry into our awards over a three year period. Truly making this achievement the marque of distinction. These premises have demonstrated exceptional levels of food quality, service and value when compared to our industry benchmarks in their category and have now maintained this formidable standard for three or more consecutive years. In recognition of this achievement they have been duly awarded our highest accolade the 2019 Good Food Award – Gold Seal | Good Food Award Winners in 2013, 2014, 2015, 2016, 2017, 2018 & 2019.